TOKYO, January 4. /TASS/. 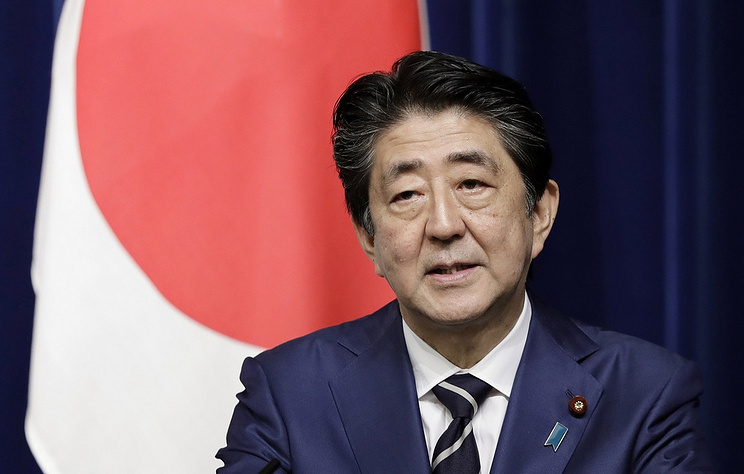 Japanese Prime Minister Shinzo Abe has said he is determined to facilitate the negotiations on a peace treaty and the territorial issue during his upcoming visit to Russia in January. “At a meeting with [Russian] President [Vladimir] Putin in Singapore last year, we shared our determination to sign a peace treaty by solving the ‘northern territories’ problem (that’s what Japan calls Russia’s southern Kuril Islands – TASS) and draw a line under the issue, which has remained unresolved for more than 70 years since the end of the war so as not to leave it to the next generations,” he told reporters during his first news conference in 2019 on Friday. “If circumstances allow, I intend to visit Russia in the second half of this month and facilitate the negotiations on a peace treaty,” the premier added. Russia and Japan have been in talks to sign a peace treaty since the mid-20th century. The main stumbling block to achieving this is the ownership of the southern Kuril Islands. After the end of World War II, the Kuril Islands were incorporated into the Soviet Union. However, the ownership of Iturup, Kunashir, Shikotan Islands and the Habomai Islands is being challenged by Japan. Moscow has stated on numerous occasions that Russia’s sovereignty over the islands is beyond doubt. The Joint Declaration ended the state of war between both nations. The two countries resumed diplomatic and consular relations, but no peace treaty has been signed so far. Under Article 9 of the declaration, the Soviet Union agreed to hand over Shikotan and Habomai as a gesture of good will once a peace treaty is ultimately signed. The declaration was ratified by the two countries’ parliaments in December 1956. Hey Buddy!, I found this information for you: "Japanese PM vows to facilitate peace treaty talks with Russia". Here is the website link: https://russophile.org/japanese-pm-vows-to-facilitate-peace-treaty-talks-with-russia/. Thank you.